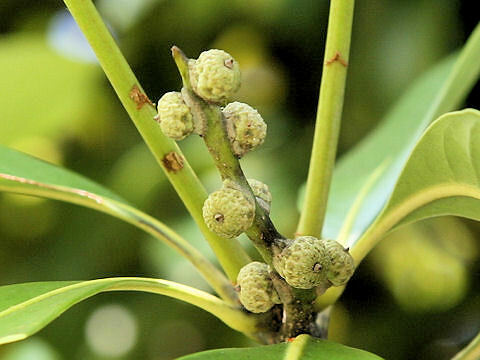 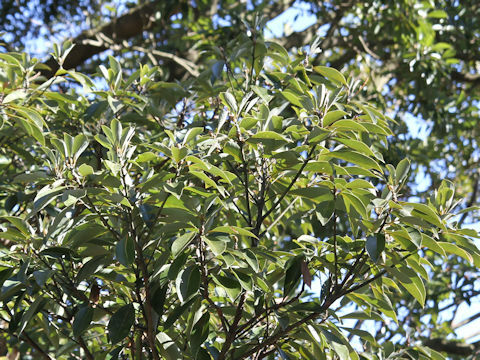 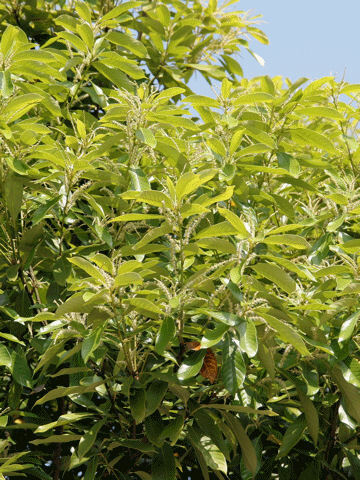 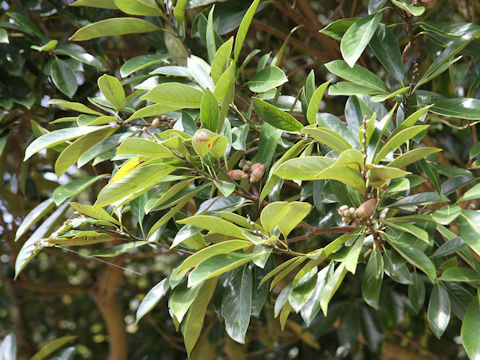 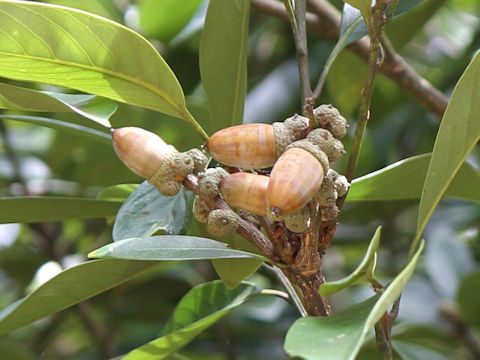 The "Mateba-shii" (Lithocarpus edulis) belongs to the Fagaceae (the Beech family). 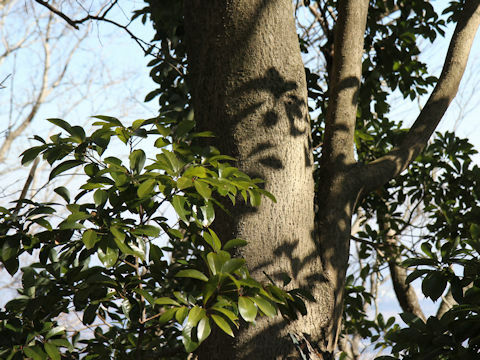 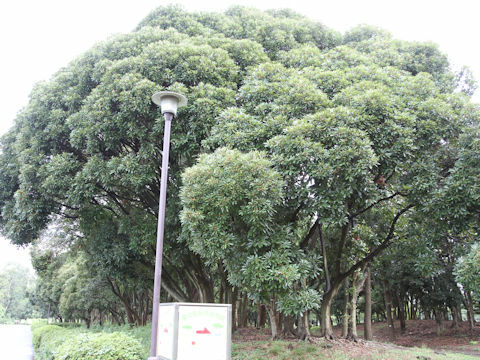 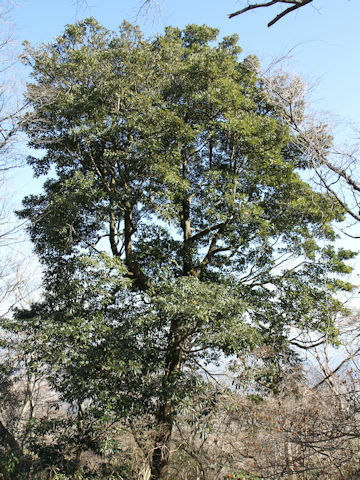 It is a tall evergreen tree that is distributed westward from Kanto-district of Honshu to Shikoku, Kyushu of Japan and Taiwan. 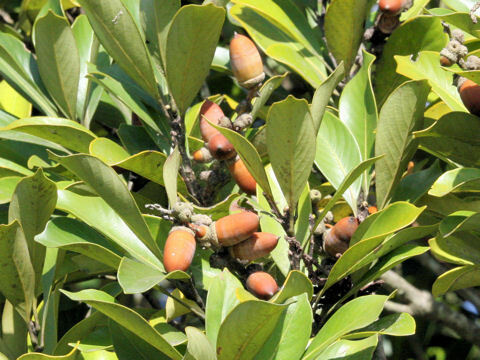 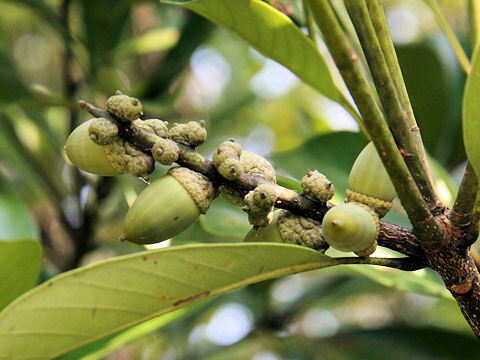 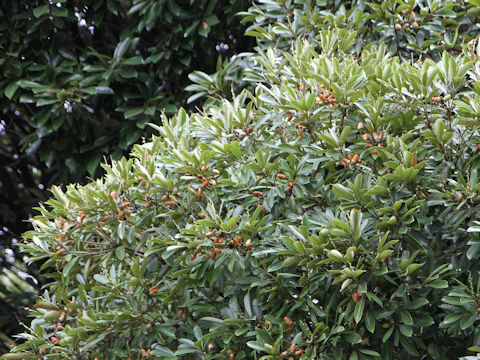 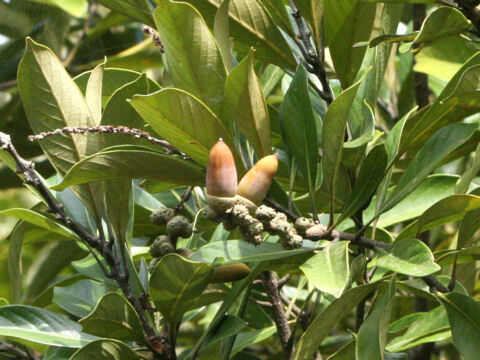 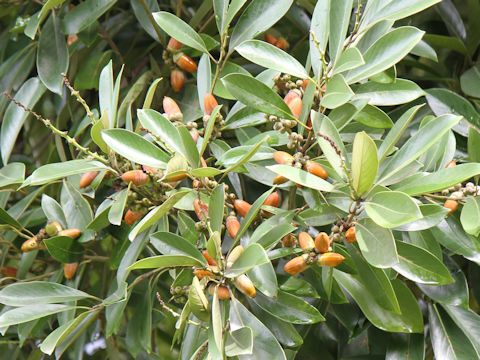 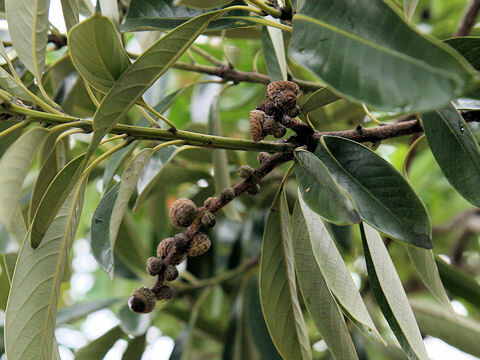 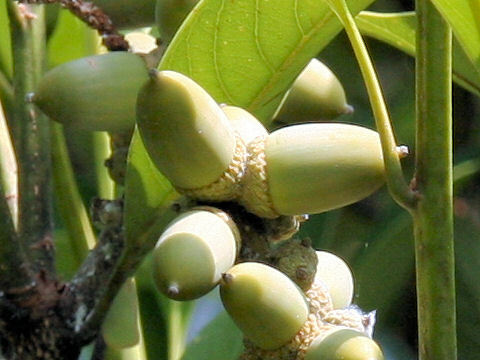 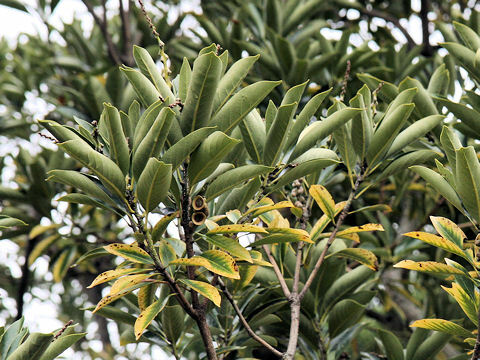 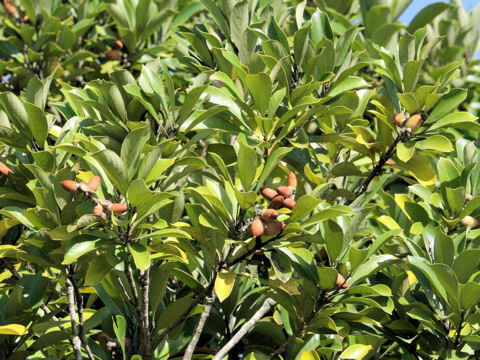 This tree grows in coastal areas and can reach about 15 m in height. 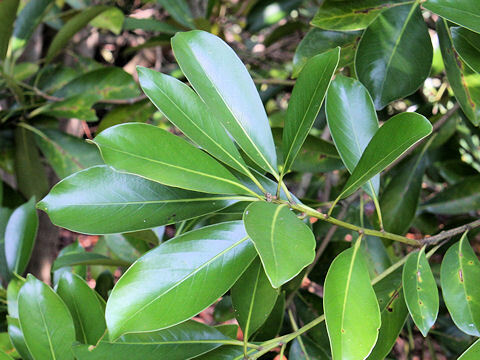 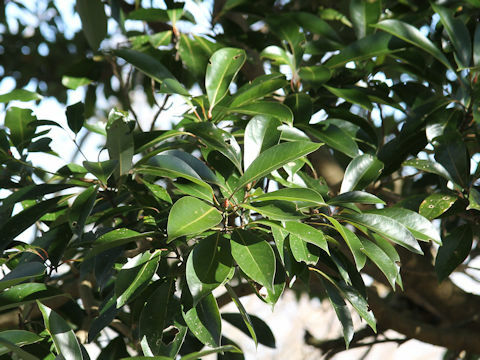 The leaves are thick, leathery, obovate-elliptic and alternate. 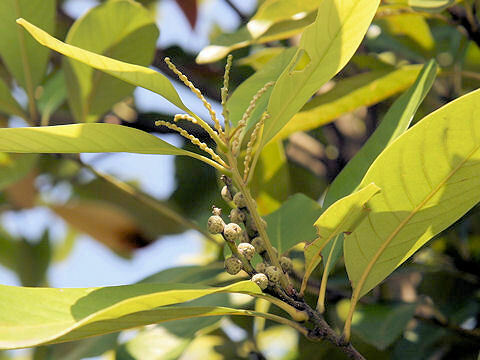 The pale yellow flowers come in late May to June. 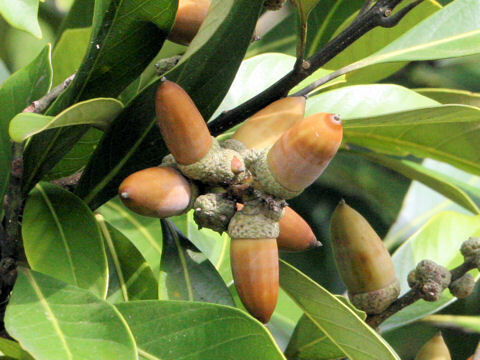 The nuts are oblong and ripen next year's fall. 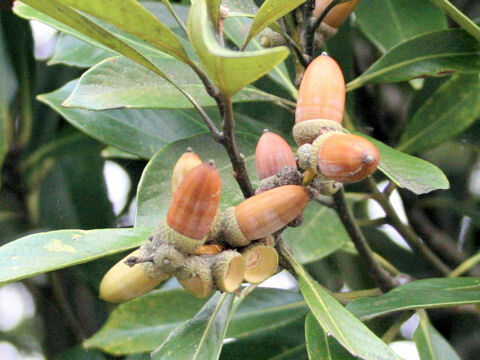 They are edible because of insensible lixivium.